a Red Pumpkin Studio: The Sketchbook Project - Pow! 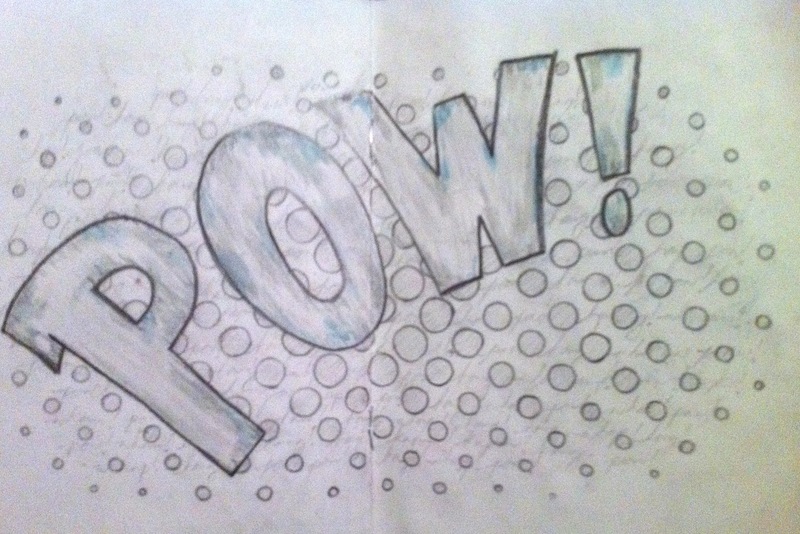 The Sketchbook Project - Pow! You might remember that I got a sketchbook for The Sketchbook project many months ago, and have had only moderate success getting anything done in it at all. But I have high hopes and lots of determination! I'm going to have it ready to go by the deadline. And with that attitude, I got to work on this page. It doesn't look like a whole lot, and I'm not wild about it, but anything done was better than waiting around for the "perfect inspiration," which never happens anyway. If one sits around waiting such a thing, nothing would ever get done at all. The halftone dot pattern was quite difficult to make look even somewhat correct. I penciled in a grid, and put the dots in the centre of the squares in something of a diminishing scale. hmmmm. Not a terrible system, and it certainly wasn't meant to be exact. Books Reduction Lino Print - Winner! Books Reduction Lino Print - Finished!